What is the best Bitcoin wallet to use? The best Bitcoin wallet is… Unfortunately there is no uniform answer to this question. In these cryptocurrency hardware wallet reviews 2018 we aim to find the most suitable wallet for you, based on factors like budget, security, quality, supported altcoins, needed features etc. In a hurry? Jump to the comparison and conclusion of the review. Before making an informed decision about the best cryptocurrency hardware wallet, we must know the differences and similarities between cryptocurrency hardware wallets, software wallets, and paper wallets. A hardware wallet, also referred to as a cold wallet, is a physical device that stores the user’s keys, created to secure your cryptocurrencies and to make sure payments are sent and received safely. The device must be connected to your computer or mobile device to give you access to your coins in the blockchain and to do an actual transaction from your wallet address to another address. Crypto assets themselves are not actually “stored” in a wallet. Instead, a private key (a secret x-bit number known only to you and your wallet) is stored on the hardware wallet that allows access to a public key. So your wallet stores your private and public keys, allows you to unluck your funds, do transactions, and also acts as a personal ledger. It is important to understand that your private keys are never exposed and never “leave” your hardware device so they can’t be confiscated via malware. If you want to learn more about private and public keys read this article on Wikipedia. What is a crypto software wallet? A paper wallet is a printed piece of paper that consists of two parts: a wallet address and the private key that are accessed using a QR code. Paper wallets can be difficult to set up. There are several paper wallet services available online such as Walletgenerator, Bitcoinpaperwallet, and Bitaddress. Always clear your browser after printing a paper wallet and make sure you never store a picture of your secret key on your computer or phone. You can find more information on paper wallets on Wikipedia. 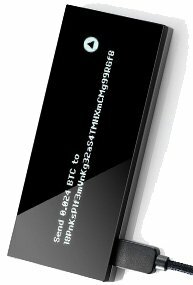 If security is important to you (and it should be), a cryptocurrency hardware wallet is a must have. There are a few options available to you of which we compare the most used brands. Links to the vendors are provided below to give you the opportunity to see what the vendors say about themselves. Click the tabs below to navigate between hardware wallets. The majority of the code (beside the firmware part / the separate security chip) is open source and on GitHub. Ledger Nano S is based on a dual chip architecture (ST31/STM32, Certification level: CC EAL5+). The firmware integrity is guaranteed by cryptographic attestation. It has two physical buttons which need to be pressed to confirm payments. The Ledger Nano S comes with: 1 micro-USB cable, keychain / key ring, and a sheet for writing down the recovery seed. #1 Plug the device into the USB port of your machine and look at the Ledger screen for further instructions (create a new wallet or import an existing one). #2 Pick a four-digit pin code. Please, don’t pick something obvious such as “0000” or “1234”! #3 Retrieve the recovery sheet from the Ledger’s box. Enter the 24 words in the order that they are listed in, allowing you to recover your wallet in the case of theft or damage. #4 Install the Ledger app on your computer and you’re done. Impressive and responsive 3”5 inch touchscreen. Most advanced hardware security on the market. Because you have a keyboard available to you, it is very easy to enter your 24-word private key phrase and recover your wallet. High price compared to the Ledger Nano S and the other hardware wallets compared in this article. Not very portable because of its size. The housing feels a little chaep. Stand-alone device in a fully isolated environment. Dual-chip architecture embedding a ST31 Secure Element and a STM32 microcontroller. Windows (7+), Mac (10.9+), Linux or Chrome OS. Requires Google Chrome or Chromium, and one USB port where you can plug in your Ledger Blue. device, USB cable, instructions, and recovery sheet. 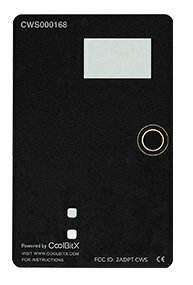 World’s first secure Bitcoin hardware wallet. Lightweight (12 g) and robust design. Supports the most common coins but less than the Ledger. 2 buttons for confirmation / authentication. More attractive design than other wallets. This device is bigger because of its bigger screen (and thus not very portable). It doesn’t have a strong reputation in the community at this point in time. More expensive than Trezor and Ledger Nano S.
CoolWallet S works with any device that has Bluetooth or NFC (near field communication) and its credit card size fits right into your wallet. Do you really want to carry your crypto savings account in your wallet next to your credit cards? CoolWallet S has a CC EAL 5+ certified secure element that is equivalent to FIPS complied security level similar as US military’s requirement. * Bitcoin (BTC), Ethereum (ETH), Ethereum Classic (ETC), Ark (ARK), Bitcoin Cash (BCH), Bitcoin Gold (BTG), Expanse (EXP), Dash (DASH), Digibyte (DGB), Dogecoin (DOGE), Komodo (KMD), Litecoin (LTC), NEO (NEO), Pivx (PIVX), Posw Coin (POSW), Qtum(QTUM), Stealthcoin (XST), Stellar Lumens (XLM), Stratis (STRAT), Ubiq (UBQ), Vertcoin (VTC), Viacoin (VIA), Ripple (XRP), Zcash (ZEC). All reviewed hardware wallets have a display, a simple UI, password authentication, second-factor authentication, and are secure. The Ledger Blue supports 8-digit pins while the other wallets support only 4 digit-pins. The hardware wallets we did not include in our comparison are Digital Bitbox and OpenDime. Although they are the cheapest USB-wallets on the market (price range between $50 and $60), they don’t support altcoins and lack some security features that are present in the wallets we did include in our review. When you purchase a cryptocurrency hardware wallet, make sure the package is sealed to make sure there is no maliciously modified hardware. 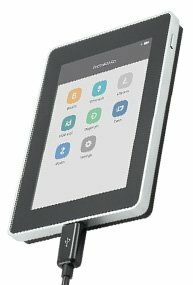 Furthermore, always buy your hardware wallet directly from the official vendor website. Make sure you store your hardware wallet and your recovery seed in a secure place. If people get a hold of your recovery seed, they can “recover” your funds. Despite the fact that no wallet is 100% safe, a hardware wallet is still the safest place to store your private keys. If budget is an issue, you should focus on the Ledger Nano S and the Trezor. They both look good, are secure, have a good reputation, provide good support, and do the job. You can’t go wrong with these entry price wallets. But… if you don’t need a lot of altcoins supported, the Trezor is a good option. Buy your Trezor hardware wallet directly on the official website with our affiliate code to support our content creators. 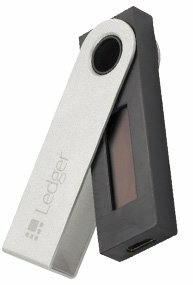 If you need to store many different altcoins, the Ledger Nano s is the best choice. They also have a good reputation and they tend to be very active in supporting new altcoins. 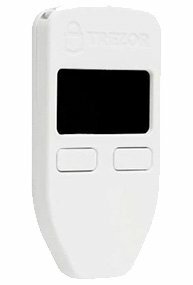 Check the latest price of the Ledger Nano S on ledgerwallet.com. If a bigger screen is important and price is not a big concern to you and you don’t need to store a lot of altcoins, the KeepKey is an interesting option. If you love gadgets and don’t mind paying extra cash and want the most advanced security, the Ledger Blue is your pick. Currently this device is out of stock and to be honest we found it a bit overpriced. We rather invest the extra 200 dollars into Bitcoin. Cold Storage Staking Has Arrived via XSN! Through a push from an existing community (PoSW), a swap has occurred to implement the development of a never-before-seen revolutionary technology that will fundamentally change the way a cryptocurrency is stored and used. The XSN team is excited to announce the first ever trustless proof of stake implementation on a bitcoin based protocol. After launching less than a month ago, the newly developed blockchain has trustlessly staked over 25k+ blocks and allows – for the first time ever – offline or ‘cold’ XSN coins to stake, produce, validate, and move a blockchain. Users will now be able to use this technology to easily ‘cold-storage stake’ from hardware wallets (such as a Ledger + Trezor), giving the highest level of safety and security while earning interest and providing utility. This tech is fundamentally changing the proof-of-stake landscape and opening up many new applications and possibilities. Working on a commission based system, coin owners grant service providers (called merchants) permission to stake but not move their funds. These merchants are able to charge a commission for said services, agreed upon by the two parties. The protocol itself is ‘smart’ and knows how to split these newly minted TPoS coins, done without any human involvement, via signed messages broadcasted when the contract is first created. We engineered this feature to avoid predicting market rate or demand, and to allow the two parties to settle between themselves a split from 1-99% of staking rewards. This will also allow alternative forms of services to arise – for example, some merchants are accepting 99% stake rewards and will pay that value (minus their fee) in another currency (depositing to a shielded address, or fiat into a bank account). Entire businesses are already being built on top of the XSN network. TPoS is analogous to putting your money inside of a virtual bank that cannot fail, go bankrupt, become insolvent or shut down like brick-and-mortar buildings, with you being able to withdraw or move 100% of your funds at any time, day or night, no questions asked and no withdrawal limits imposed – earning interest 24/7. Currently, POS coins have offline ‘cold’ storage value providing little utility to the user or the network – in XSN these funds secure the network, earn rewards for coin owners and spearhead an entire economy – Staking-as-a-Service (SaaS). In addition to the success of TPoS, XSN has promising developments ahead including launching StakeNet.io and enhancements to our newly released Masternode network. StakeNet.io will be a platform for users to trustlessly stake XSN, stake major POS coins, host masternodes, and execute what we call ‘light atomic swaps’ on the recently launched lightning network. Atomic swaps are here but require verifications of humans or centralized authorities, our masternodes will hold databases of cross chains executing these verifications in an autonomous fashion, powered by our very own token (converting it into a form of ‘gas’). This aligns with the XSN vision of a platform centered, utility driven, cross chain future, while reinforcing a symbiotic network-user relationship. After recently adding 3 new developers to the team, we now have extensive experience in mathematics, system administration, engineering, and network cryptography and are poised to tackle challenges in a competitive and swift fashion. 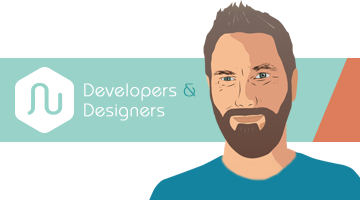 We reinforce community driven development and are always available to discuss ideas, concepts, and critiques. We also are offering seed funding for entrepreneurs + Devs to submit their own whitepapers for apps to build on top of our TPoS feature – any and all are welcome (send to whitepapers at xsncoin dot io). IncludedThe Ledger Nano S comes with: 1 micro-USB cable, keychain / key ring, and a sheet for writing down the recovery seed. upcoming ico yelo.one Setting up the Ledger Nano S. #1 Plug the device into the USB port of your machine and look at the Ledger screen for further instructions.